Polokwane Game Reserve, Limpopo province. Satellite View is showing Polokwane capital of the Limpopo province, South Africa. The city is located in the Capricorn region in the northeastern part of the South Africa on a plateau at an elevation of 1200 m.
The city was founded by Voortrekkers in 1886 and named Pietersburg. Polokwane, a Sotho word that means "Place of Safety". Today the city is the largest urban area in the Great North and is its commercial and industrial center. 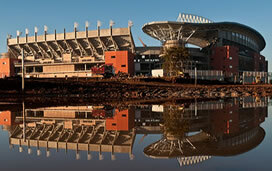 Polokwane was one of the host cities for 2010 FIFA World Cup. 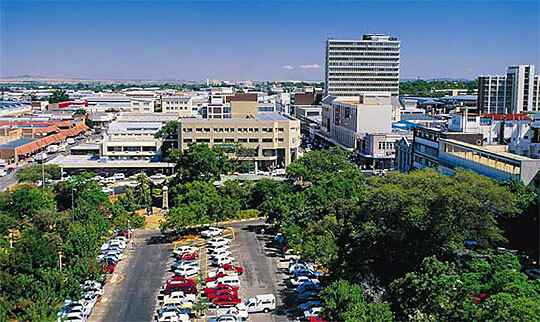 Polokwane has a population of about about 640,000 inhabitants. Spoken languages are Sepedi, TshTsonga, TshiVenda, IsiNdebele and English and Afrikaans. The map shows a city map of Polokwane with expressways, main roads and streets, and the location of Peter Mokaba Stadium, as well as Polokwane International Airport (IATA: PTG). Google Map: Searchable Map and Satellite View of the City of Polokwane, South Africa. South Africa key statistical data.